At Battery Hill Dental, we’ve seen patients with different kinds of cracked teeth. Your local dentists here at Caloundra knows just how to handle this adverse, and even painful, situation. Visit Battery Hill Dental, your local Currimundi dentist, for help. Why do teeth get cracked? While your teeth is one of the strongest tissues in the body, it can still get damaged in many ways, resulting to breaks and cracks. Whether it’s due to biting down on some hard food or getting injured in the mouth from a blow, a cracked tooth is not a good thing. In fact, it can even be unbearable painful. Therefore, early treatment is always a good idea. These are tiny, shallow cracks on the surface of your tooth, or your enamel. While they don’t necessarily hurt, they may alter your tooth’s look and even lead to bigger breaks later on. This is when the sharp and pointy chewing surface of your tooth, usually a molar, breaks off. This usually happens when the tooth breaks either horizontally and vertically. The break is distinct, but the tooth can be broken into two or more pieces. This is the most painful kind of cracked tooth as the damage starts from the root and goes out towards the chewing or biting surface. This can cause bleeding and even infection on the bone and gums when left untreated. Our dentists here at Battery Hill Dental can repair your cracked tooth, save your smile, and make sure no further damage occurs so you can smile easy again. Check out our prices for cracked tooth solutions. For minor cracks, dental veneers are great options as they seamlessly and flawlessly cover each damaged tooth with porcelain so that your pearly whites can sparkles as good as new. For a more serious crack accompanied by pain with chewing, biting or drinking, a crown may just be what you need. We will fit you with a tooth-coloured porcelain or resin crown to protect your cracked or broken tooth. If your tooth has been badly cracked below your gumline, we may have to extract the tooth and replace it with a dental implant. Dental implants replace your missing tooth and provide a natural look while maintaining strong biting and chewing power. A cracked tooth can be painful. It can also make you self-conscious about your smile. 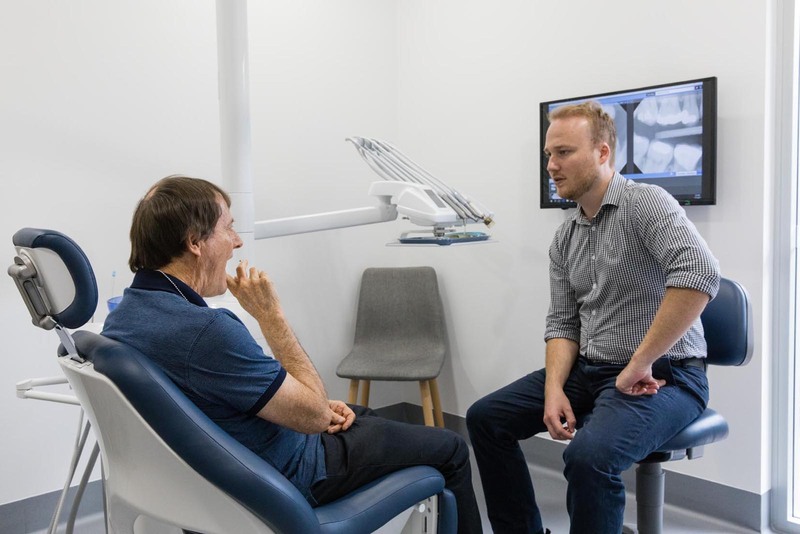 If you have a broken or cracked tooth, visit your trusted Sunshine Coast dentist here at Battery Hill Dental.